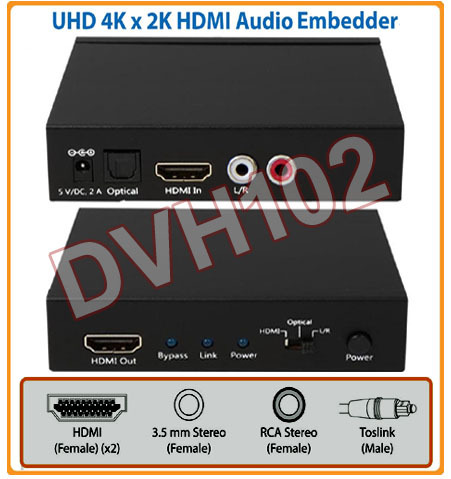 This HDMI audio encoder/embedder allows users to embed a new audio feed from 3.5mm/RCA L/R or optical audio source into a HDMI or DVI signal or converting the audio output from CD player or Hi-Fi system to HDMI . 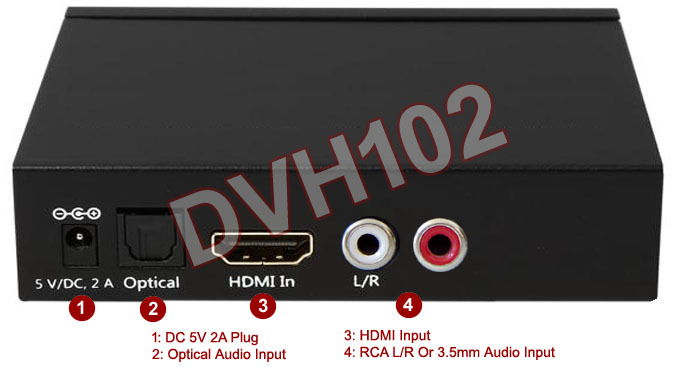 This HDMI audio embedder supports 1 optical audio input, 1 of 3.5mm or RCA L/R input via adapter and a HDMI input. Users can select between audio input for conversion or encoding. 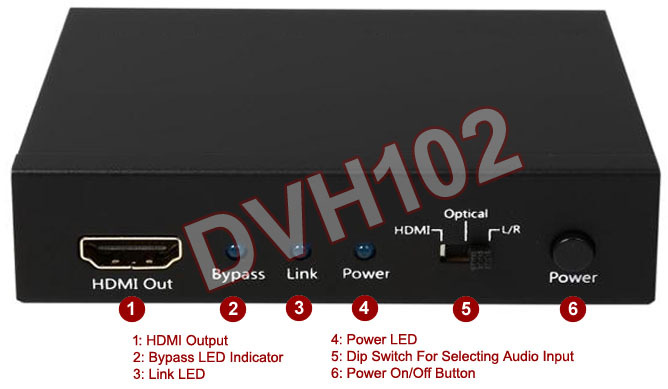 This HDMI audio processor provides users with easy external ways to swap the existing digital audio in HDMI signal with different audio feed or adding audio to DVI signal or simply converting audio signal into HDMI format with no video content included. 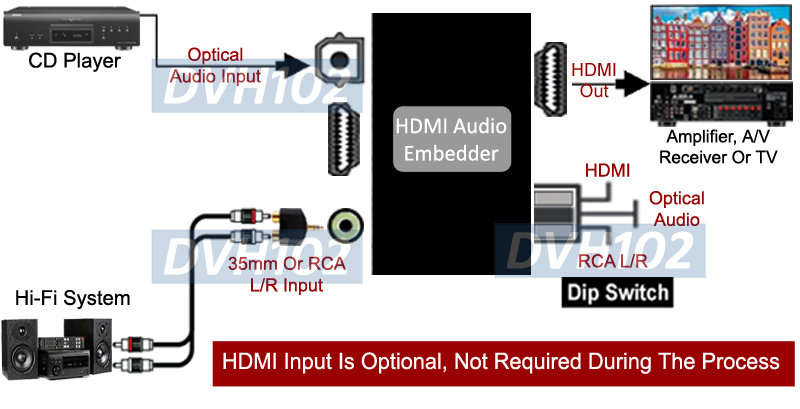 This HDMI audio embedder has an easy dip switch design. Users can manually select the desired audio input source to be embedded or converted through the DIP switch on the unit. Helps users combine and convert DVI video with analog or digital audio for HDMI output further distribution.